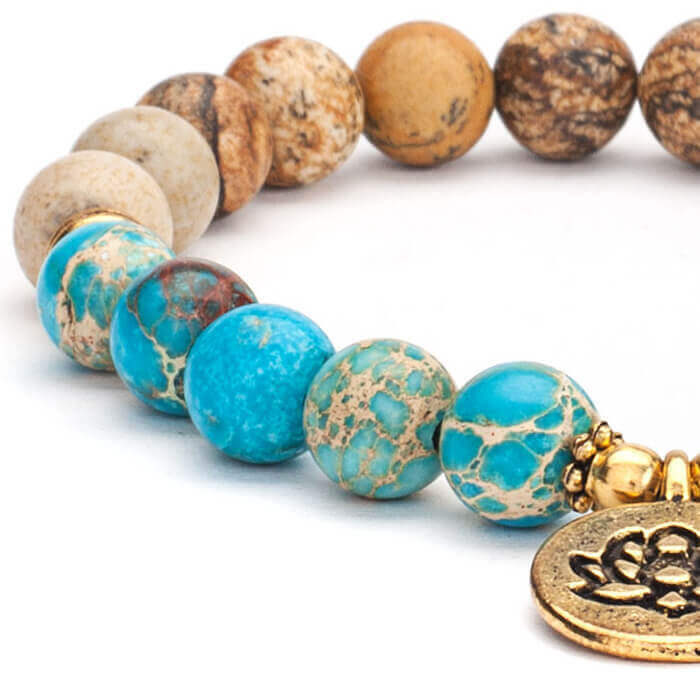 Beautiful quality Mala Bracelet of Jasper & Blue Imperial Turquoise 8mm beads with Lotus Flower Charm. 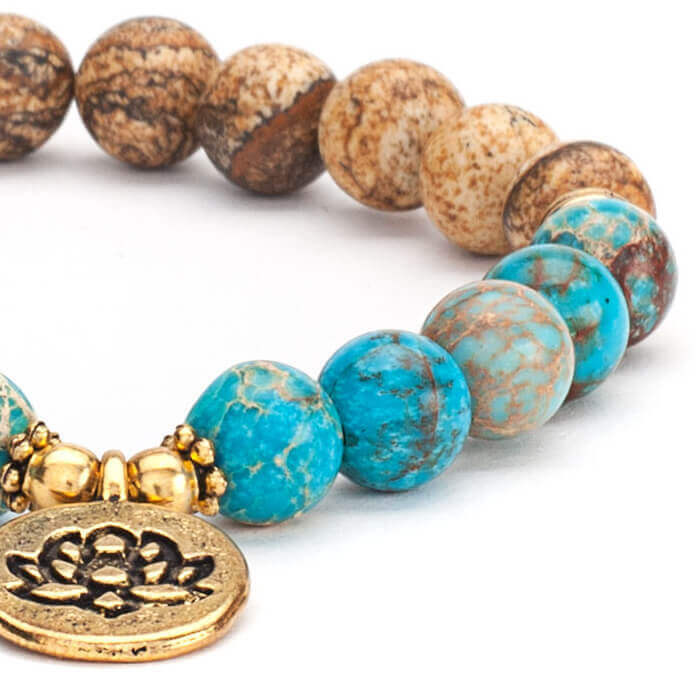 This mala is threaded on elastic so that it can also be worn as a bracelet. 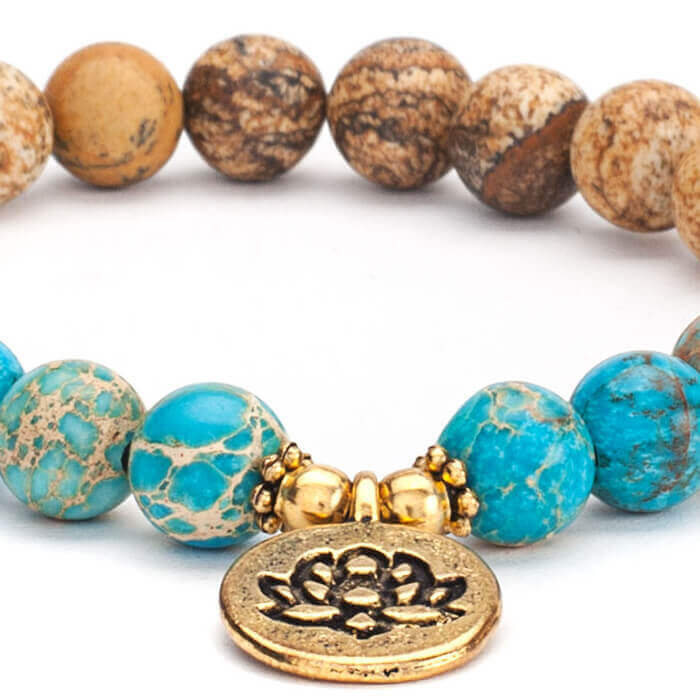 Your Mala will come to you in a small bag for safe keeping. Please note, these malas are hand-made and therefore may differ slightly to those illustrated here.